Looking back, I must say 2011 was an exciting year, but 2012 holds even greater promise. In 2011, Bent Pine Publishing took me into the world of Digital Publishing with the release of both Spare Change and Cracks in the Sidewalk in Kindle and Nook formats…and what a ride it has been! Before I get into the exciting things happening in 2012, I’d like to look back and share my thoughts on all that has happened. Not only is it possible to carry around your entire library in a device that weighs less than a paperback, but you can also download free chapters of books to browse at your leisure. For me, this is an awesome feature because I just don’t have the time to stand in a bookstore reading a chapter or two to determine whether or not I’ll like the book. With these good-sized samples on my Kindle, I read when it’s convenient for me, decide which books I want to buy and then download the remainder of the book with a few simple clicks. The Kindle has more than paid for itself since I’ve eliminated the purchase of books that turn sour after ten or twelve pages. I can honestly say the advantages that serve me well as a reader, also serve me well as an author–new readers are downloading samples of Spare Change and Cracks in the Sidewalk, loving the story, then purchasing the book. In short, new readers are discovering my work and as an author, that’s music to my ears. Digital books also have an added plus–cost. Without the cost of paper and printing, publishing firms can offer books at a lower cost which makes the purchase of an unfamiliar author’s work less of an investment, so the customer reaps the reward and the author garners a larger audience. That’s a win-win situation. Unfortunately (or perhaps fortunately) the big six publishing houses are not passing along this savings to the consumer, so potential readers are quicker to bypass the old standards and search out new authors with exciting voices. This has been wonderful for me and as a result the e-book version of Spare Change (available at $2.99) is outselling the paper version by 10 to 1. The ratio for Cracks in the Sidewalk is approximately 8 to 1. With over five million Kindles sold in the month preceding Christmas, there can be little doubt that any and all future releases need to have a digital version, so Bent Pine Publishing is doing just that. In the first quarter of 2012, my first novel Girl Child will be rereleased under the original title which was The Twelfth Child and it will be available in both paper and e-book versions. As The Twelfth Child this novel won the First Place Award for Published Fiction from the National League of American Pen Women in 2007 and, although Spare Change is rapidly becoming a reader favorite, you will fall in love with Abigail Anne Lannigan, the protagonist of Twelfth Child. 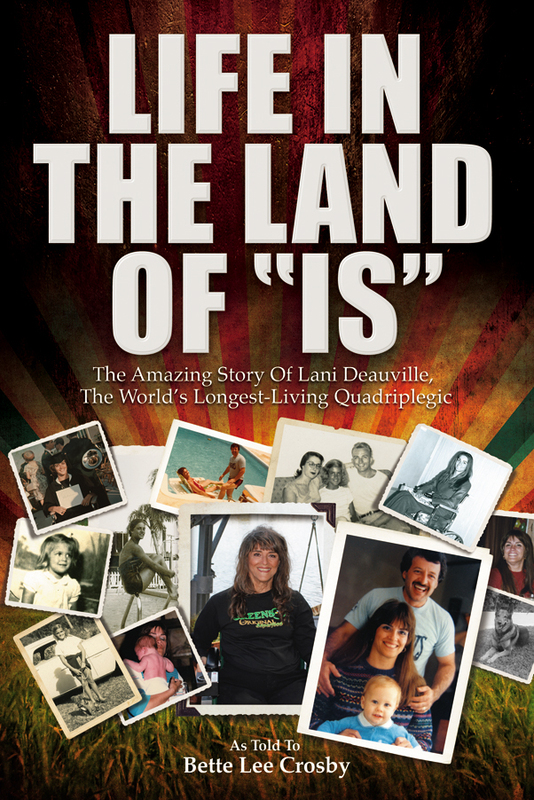 Also due to be released in the first quarter of 2012 is Life in the Land of IS…the amazing story of Lani Deauville, the World’s Longest Living Quadriplegic. Lani Deauville was given that title by the Guinness Book of Records and I was fortunate enough to have the honor of writing her story. 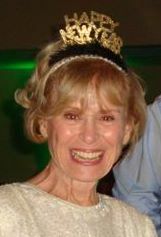 Lani won the Florida State High School Diving Championship in 1957, and the following summer she broke her neck and injured her spinal cord by diving into shallow water. In the years that followed, Lani achieved more professionally and personally than most women ever aspire to; including adoption of a baby and the start-up of GreensPlus, a nutritional supplement company that today has a huge following. This is an exciting story–one that will awe and inspire you, so please don’t miss it. Lastly, in the final quarter of 2012 I anticipate the release of What Matters Most the novel that won a 2011 Royal Palm Literary Award for Unpublished Women’s Fiction. This is the fun-to-read story of Louise Palmer, a woman whose life is turned upside-down when her husband decides to retire after inheriting his uncle’s shabby little shack in Florida. There are truly laugh-out-loud moments in this book along with heartwarming friendships and ‘lessons-learned’ bits of wisdom. Right now, that’s what is on the board. As for the summer months…well, I hope to be working on a new novel and restoring the tan that has over these long months of work faded to a pasty pallor. I recommended it to all my friends and relatives. They also all loved it. I cannot wait to read Life in the Land of “Is”.